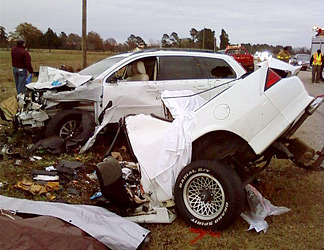 Terrible Collision: Ninety+ mph head on collision. XC90 driver had broken ribs and scrapes… Camaro all 3 occupants dead. Sorry for the gruesome post. XC90 – Why you love yours! Previous PostPrevious Volvo Coolant/Antifreeze Questions? Answers Here.